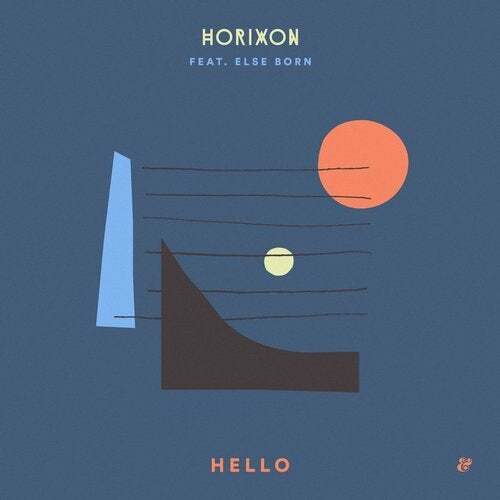 Having previously collaborated back in 2015 Eskimo artists Horixon (Monarchy's Andrew Armstrong and Joe Ashworth) and Else Born have again teamed up to deliver the beautiful, heartfelt pop lament, 'Hello'. With the British duo providing the perfect setting, a quiet storm of numinous pads, sparse piano chords and an almost 2-step beat, Else Born (aka Philco Fiction's Turid Alida Solberg) has never sounded better, her vocals bursting with a subtle, fragile intensity that brings the song to vivid life. "It's late at night. It's too late and the stars are out," Turid explains. "You're stuck in a never-ending fight with your lover. You really don't feel like fighting, you try to get out of it and you try to stop his crying. You look for a spaceship to lift you up up up and away. And... suddenly you're under the stars - no more. For a couple of seconds. Till you fall back into the familiar." On remix duties we have reworkings from Eskimo veteran NTEIBINT and Aleph Music's Aera. Tapping into the long, proud history of heartbreaking disco ballads, Greek producer NTEIBINT's remix will ensure there's tears on the dance floor as its insistent, and remarkably, funky bass-line and stirring strings create a gorgeous counterpoint to Turid's delicate vocals. Finally fresh from releasing critically acclaimed records on labels like Innervisions and Hivern Discs Berlin based Aera provides a 'Dub' mix that wrings every ounce of emotion out of its entrancing bleeps and beeps. Inspired by a recent gig in New York the track subtly builds to a disorientating climax before deconstructing itself once more, till just the ghost of the track remains like an echo of a lost love. It must have been quite a gig.